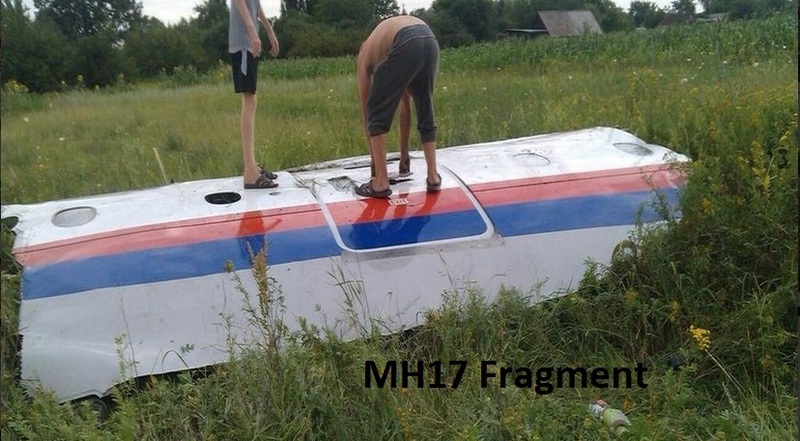 On the 17th July 2014 Malaysia Airlines flight MH17 was shot down by a surface to air missile over Donetsk, a pro-Russian Rebel stronghold in the Ukraine. Questions have been raised as to whether the airline was flying through the warzone to save fuel, as flying further south or north would have taken longer. European and United States commercial planes had been warned against using the airspace since April 2014. It's been reported that possibly as a result of weather, flight MH17 had diverted from its usual flight path. 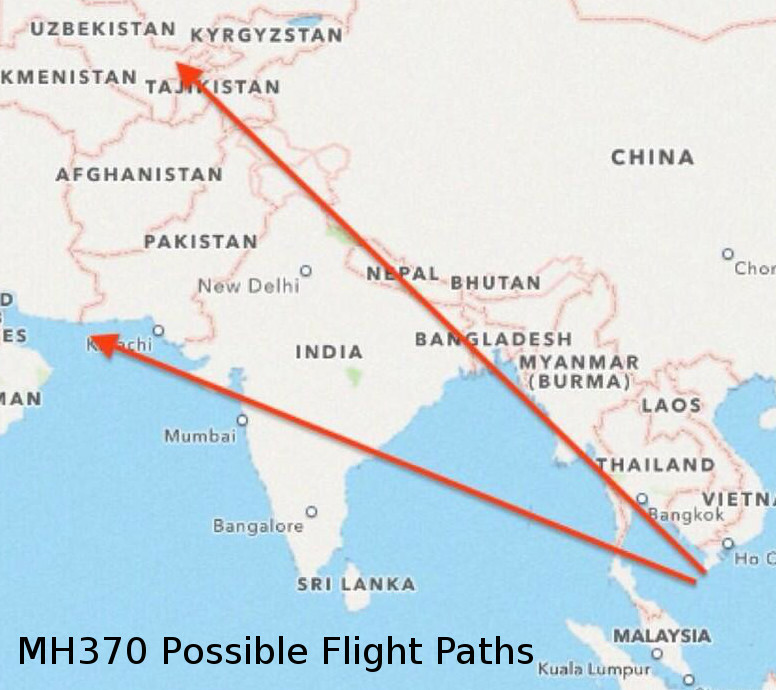 Malaysia Airlines immediately changed the route followed by all European flights. Both the Ukranian government and Pro-Russian rebels in the country have said it wasn't them who shot the plane down. The Prime Minister of Donetsk People's Republic, says the incident was a “provocation by the Ukrainian military”. The Ukranian foreign ministry has said that the plane "was shot down by the Russian Buk missile system". 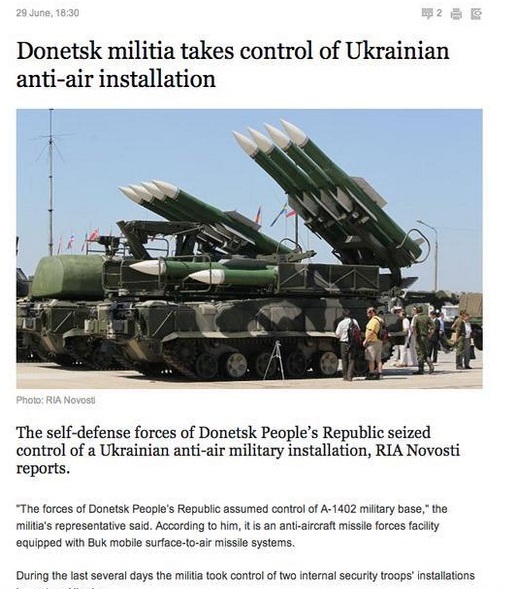 "We stress that the Armed Forces of Ukraine did not take action against any airborne targets...Self-defence forces have no air-defence, which could target transport aircraft at that height,” said Petro Poroshenko, President of the Ukraine. The plane was at an altitude of 33,000 feet when it was hit. The Boeing 777 was 17 years old. It left Amsterdam's Schipol Airport at 12h14 local time and was due to arrive in Kuala Lumpur at 06h10 local time. Ukrainian Air Traffic Control said that it had lost contact with the plane at GMT 14h15 (GMT), some 30km from the Tamak waypoint, which is about 50km from the Ukraine-Russian border. There were 295 souls on board, consisting of 15 crew members and 280 passengers, all of whom perished. Bodies were found about 15km from where the plane crashed. It's been reported that there were 23 US citizens on board the flight. This follows the tragic loss of Malaysia Airlines flight MH370 on the 8th March 2014. 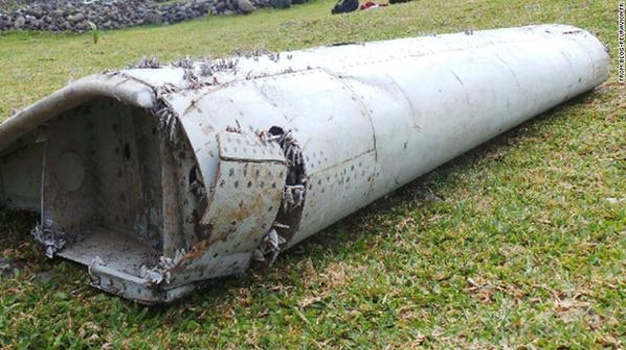 12 May 2016: Australian authorities have confirmed that debris collected in South Africa and Mauritius were "almost certainly " from the missing aircraft. 23 March 2016: It has been more than two years after the initial disappearance of Flight MH370 and investigators know little more than they knew two years ago. 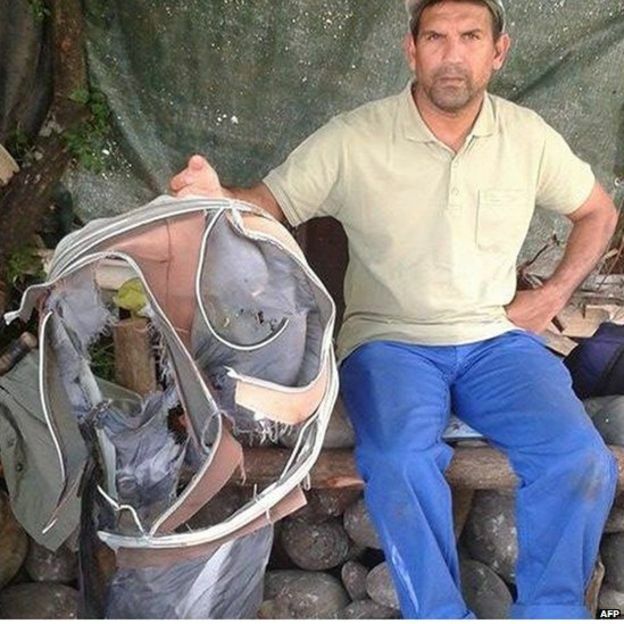 On the 29th of July 2015 a partial flaperon believed to be part of flight MH370 washed up on the shore of Reunion. Confirmations varied from "a very high probability" from French officials to official confirmation from Malaysian authorities that this wasn't only a flaperon from a Boeing 777 but also more specifically from Flight MH370. It confirmed the grim truth that most have known for over a year- that the vast ocean is indeed the aircraft's final resting place. Australian officials also believe that models of debris dispersal prove that they have been looking for the aircraft in the correct parts of the ocean. On the 2nd of March 2016, what is believed to be a horizontal stabilizer was found on a sandbank between Mozambique and South Africa. The fragment has been sent to Australian authorities for confirmation. Another piece was found on the island of Reunion and also sent for examination, although it wasn't immediately identifiable as a specific part. Yesterday news also emerged that a partial engine cowling bearing the double R's of Rolls Royce, the engine manufacturers of Boeing, was found on South Africa's Mossel Bay. 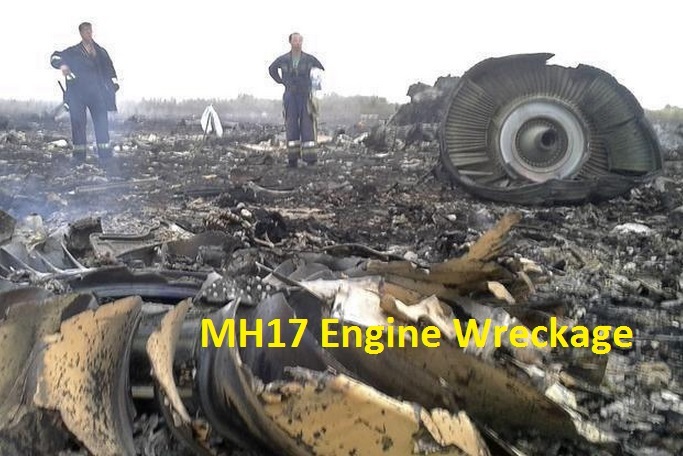 The Malaysian Minstry of Transport acknowledged that it is a possible part of the engine cowling, but it will also be sent to Australian authorities for confirmation. Two years later and with only 30 000-odd sq km left to be searched (the search will end in the middle of this year), the question has to be asked whether the aircraft will ever be found or whether officials will simply be waiting for the aircraft to wash up somewhere. 29 July 2015: More than a year after tradegy struck, the first part of what is believed to be the flaperon of a Boeing 777 washed up on the shores of Reunion Island on the 29th of July 2015. It has not yet been confirmed that it belongs to the plane, but general opinion is that it belongs to a Boeing 777 and flight MH370 is the only such plane to have disappeared accross the ocean. Serial numbers found on the flaperon could be crucial in proving that it was indeed part of flight MH370. This is the first part of concrete evidence to suggest that flight MH370 met its untimely end in the ocean. It will also debunk several extreme theories about the plane's disappearance. Malaysia Airlines flight MH370 went missing over the Gulf of Thailand in the South China Sea, 150km north-northeast of Kuala Terengganu, shortly after taking off from Kuala Lumpur at about 00h41 (Malaysian time) on the 8th March 2014 on its way to Beijing. No Mayday or other distress signal was sent. Subang Air Traffic Control lost contact with the plane at 01h22 (Malaysia time) just before it was meant to hand over responsibility to Ho Chi Minh Air Traffic Control. At 02h40 Subang ATC informed Malaysia Airlines that they had lost contact with the plane. At 07h24 (Malaysian time) the airline confirmed it had lost contact with flight MH370 and at 09h05, Malaysian time, the airline stated that "We deeply regret that we have lost all contact with flight MH370". The flight was also a codeshare with China Southern Airlines which is based in Guangzhou, under code CZ748. 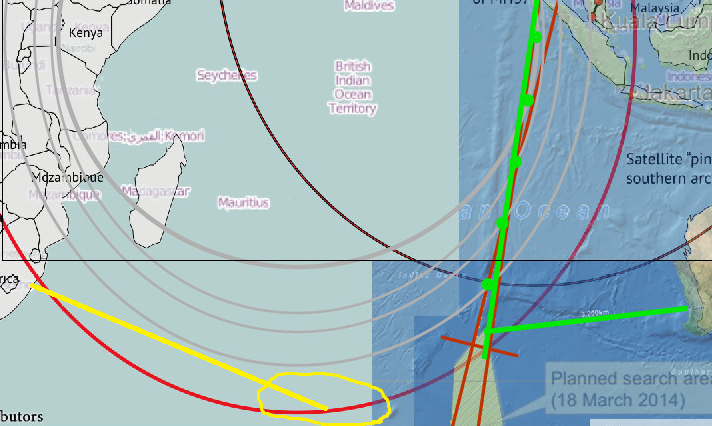 On the 24th March 2014, Malaysian Airlines says that the evidence indicates flight M'H370 went down in the southern Indian Ocean: "We have to assume that MH370 ended in the southern Indian Ocean. As you will hear in the next hour from Malaysia’s Prime Minister, new analysis of satellite data suggests the plane went down in the Southern Indian Ocean." On the 24th March 2014 a Chinese Air Force IL-76 spotted "white and retangular" objects floating in the southern indian ocean. The plane had taken off from the RAAF Base Pearce near Perth. A Chinese IL-76 plane heading to Australia to join the search landed at the wrong airport on the 22nd March 2014. It headed to Perth International Airport, before taking off again and going to the Royal Australia Air Force base Pearce. "We don't know why", said Janine Fabre, a corporal of the RAAF. 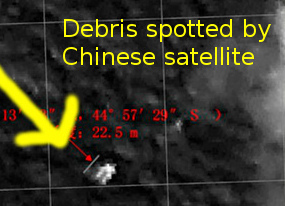 A Chinese satellite spotted a piece of debris in the southern arc on the 18th March 2014, but it was only reported on the 22nd March 2014. 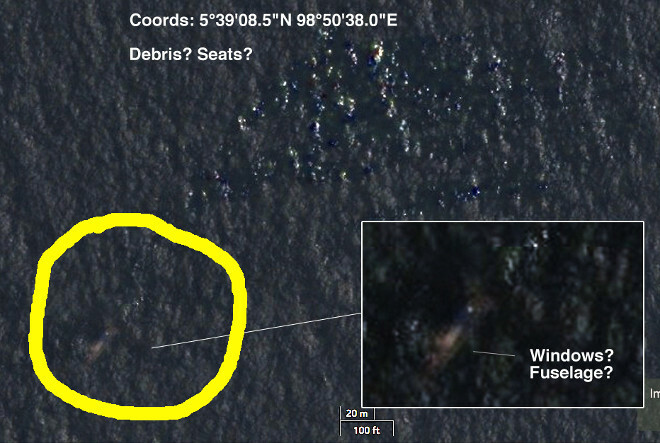 The debris is approximately 13m by 22m in size and ships have been sent to investigate whether it's part of the plane. The edge of the search area for MH370 is closer to South Africa than Australia. Maybe SA should chip in to the search effort? An Australian Orion search aircraft is being sent to identify debris floating in the southern Indian Ocean, which could possibly be fragments of flight MH370. The objects were identified from satellite images, and the largest is 24m across. Visibility is poor, and a an Australian C130 Hercules will drop a buoy to track the currents. As a result of incorrect translations from Greek into English, it was reported that a Greek oil tanker, the Elka Athina, spotted suitcases (source article is written in Greek) floating in the Straits of Malacca. Here's a possible spotting of MH370 by a Redditor, also in the Malacca Straits (where a Greek oil tanker found suitcases). Although that would mean that it was circling round in the area for several hours whilst the plane kept pinging, before crashing. The Redditor was working off Tomnod's satellite images. The black box contains a flight data recorder, a cockpit voice recorder, and a transmitter which sends a signal when there is contact with water. The transmitter has a range of 15km above the ground, and must work for a minimum of 30 days. Under water it's only possible to hear the black box's pings from a limited distance. First the transponder was disabled, which requires unplugging cirguits located behind & above the pilots seats. Then the ACARS was shut off, which requires keystrokes which requires expert knowledge. The aircraft then flew for at least another 5 hours, after which the plane may have crashed or the satellite communication was shut off (which would require one person to leave the cabin to go to the middle of the plane and do this). Boeing, the maker of the B777 jets, offers a service where data on how the plane is functioning & whether maintenance work will be required when the plane lands, is streamed to the airline. The messages are called ACARS messages and are sent via satellites. Malaysia Airlines didn't subscribe to this service, but the system still sent pings to the satellite (the equivalent of the aircraft saying "I'm here, I'm ready to send data"). 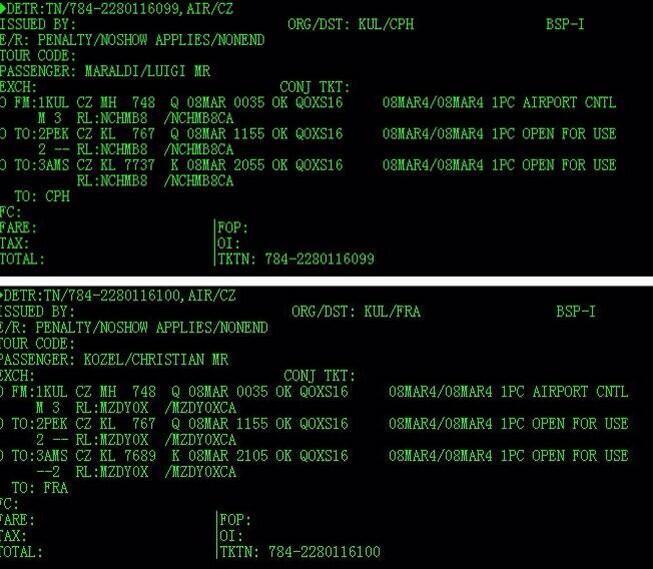 This indicates that the plane was probably still flying and still intact enough to send these messages. Seperate reports indicate that the plane's altitude & speed were included in the info sent. The last message was sent over water at about 11,000m in altitude. The Wall Street Journal reports that investigators have said that, based on automated messages sent from the plane's Rolls Royce engines about their health, the aircraft may have flown for another 4 hours after contact was lost (they cite "2 people familiar with the details"). However, a Malaysia Airlines official, Hishammudin Hussein, says that the reports are not accurate. Rolls Royce were not available for comment. ACARS, which has 2 parts to it: (1) an information part and (2) a transmission part. The info part periodically transmits maintenance messages on aircraft systems & weather. To turn off the info part requires usually requires pressing cockpit switches in sequence to get to a computer screen and select the correct option on a keypad. To turn off the transmission part of ACARS would require going to an electronics bay below the cockpit, and the transmission part wasn't turned off for MH370. The fact that the data service still pinged after the transponder carried on working, indicates that there was not a catastrophic failure of all systems at the same time. At the request of Malaysia's Government, India has suspended its search effort. It was searching in the Bay of Bengal, and around the Nicobar & Andaman Islands. India's Commander Babu says that the "Malaysia Authorities are reassessing the situation", and that they are waiting for the next instruction. If the plane did indeed ditch into the Indian Ocean, the search effort will be considerably more difficult than if it were in the Gulf of Thailand. The Indian Ocean is far deeper (on average 3890m compared to 80m), there are stronger currents and a bigger area to search over. Primary Radar of the military indicates that MH370 was following a route from one navigational waypoint to another, which suggests that the pilot had aviation training. The plots of the radar were in the direction of the Andaman Islands, which belong to India. The route between waypoints followed is normally used by airlines flying to Europe. Malaysia is reluctant to reveal the extent of their radar coverage. It had been reported that Malaysia's military tracked flight MH370 after its transponder had been turned off, with it turning west after Kota Bharu and flying at a lower altitude to the Malacca Straights. However, after that the Air Force Chief of Malaysia denied saying that their military radar had tracked the jet over the Malacca Straights; and saod he could neither confirm or deny it. When a plane's transponder is turned off it becomes invisible to the secondary radar used by civil aviation controller, but remains visible to the primary radar used by the military. The Prime Minister of Malaysia, Najib Razaz, has said that the plane flew for a further 7 and a half hours after having its communication systems deliberately turned off. The Prime Minister says the plane was communicating with satellites for a further 7.5 hours (not the 5 hours previously assumed by US investigators), with the last communication being at 08h11am. The Prime Minister has said that they are not able to pinpoint the location of the plane at the time of the communication. A team of researchers from China's University of Science & Technology used seismograph data to detect tremors, a "seafloor event", near the Malaysia/Vietnam border 1.5 hours after MH370's transponder stopped signalling. The tremor is estimated to have occured about 116km to the northeast of the spot where MH370's transponder stopped working. However, the director of the Pacific Northwest Seismic Network says that it is unlikely that it was caused by a plane, as an aircraft is not heavy enough. The B777 had enough fuel to fly 4354km from KUL to Beijing and then to divert to another airport, which means that it had enough fuel to fly at least a further 3200km after the transponder stopped working. "I believe I saw the Malaysian Airlines plane come down. The timing is right. I tried to contact the Malaysian & Vietnam officials several days ago. But I do not know if the message has been received. I am on the oil-rig 'Songa Mercur' off Vung Tau. The surface location of the observation is: Lat. 08 degrees 22' 30.23"N, Long. 108 degrees 42' 22.26"E. I observed (the plane?) burning at high altitude and on a compass bearing of 265 degrees to 275 degrees from our surface location. It is very difficult to judge the distance but I'd say 50-70km along the compass bearing of 260 degrees to 275 degrees. While I observed the burning (plane) it appeared to be in ONE piece. The surface sea current at our location is 2.0 - 2.3 knots in a direction of 225 degrees - 230 degrees. The wind direction has been NE-ENE averaging 15-20 knots. From when I first saw the burning (plane) until the flames went out (still at high altitude) was 10-15 second. There was no lateral movement, so it was either coming toward our location, stationary (falling) or going away from our location. The general position of the observation was perpendicular / south-west of the normal flight paths (we see the con-trails every day) and at a lower altitude than the normal flight paths. Or on the compass bearing 265 degrees to 275 degrees intersecting the normal flight paths & at normal altitude but further away. Good luck, Michael Jerome McKay"
On the day of the disappearance, a Vietnamese naval plane found 2 oil slicks in the vicinity. It's been reported via AFP that a Malaysian official has said that tests conducted on the oil slick show that it is not aviation fuel. Air France flight 447 crashed in a part of the Atlantic where it was much harder to deploy planes on reconnaissance missions. However, the first time material from AF447 was spotted the day after the crash, when a Brazilian Air Force plane saw an orange buoy, "white pieces & electrical conductors", an aircraft seat and a barrel, as well as signs of oil. The water in the Gulf of Thailand is has an average depth of 45m and is generally less than 60m in depth (greatest depth of 80m), so there wont be the same difficulties which were experienced in attempting to retrieve the black box from flight AF447 in 2009. 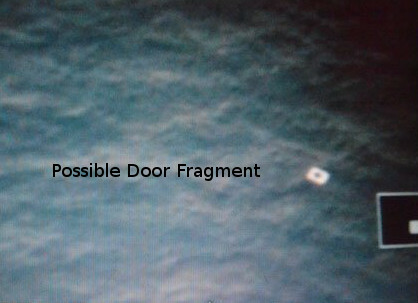 Vietnamese authorities released a photo of a possible fragment of the plane's door and of its tail on the 9th March 2014, found about 80km to the south-southwest of Tho Chu Island. It's not clear whether they were referring to this specific piece of debris, but Malaysia's Civil Aviation Authorities on the same day said that the debris near Tho Chu wasn't part of the missing plane. There is no signal that is being emitted from the ELT (Emergency Locator Transmittor) of the plane, to assist those searching for it. Territorial disputes in the South China Sea have been set aside as China, the Phillipines, Singapore, Thailand Vietnam and the United States are assisting in the search effort. Did an Electrical Fire incapacitate passengers & pilot? Often the simplest explanation is the best. 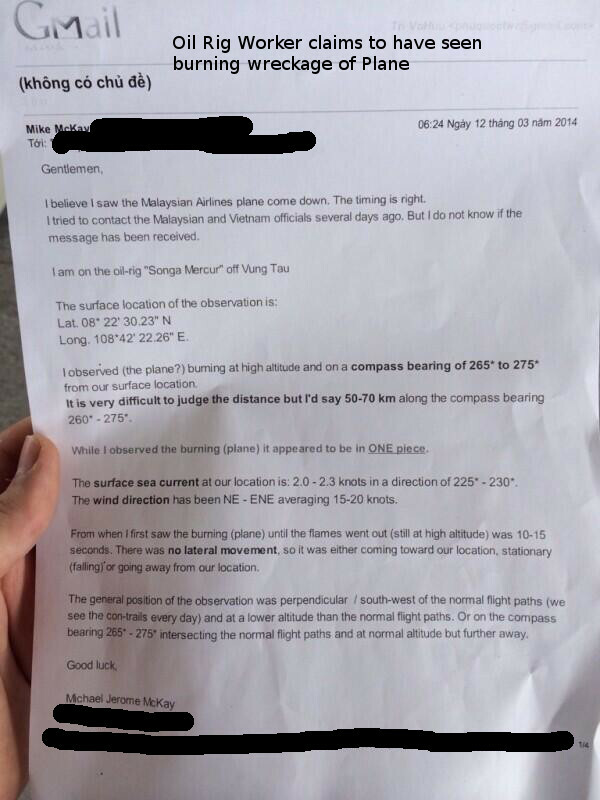 A pilot thinks that what simply happened is that a fire broke out and MH370 was trying to divert to Pulau Langkawi. An electrical fire would have taken out the ACARS without the pilots knowing about it yet, the co-pilot says the famous good night to ATC, then the pilots realise there is a fire and turn off all the electrical circuits, at the same time banking to the south-west to head for Palau Langkawi and its 13,000 foot landing strip. Unfortunately the pilots are incapacitated by the smoke and the plane carries on flying on its heading by autopilot for another 7 hours, with ACARS transmission being picked up by Inmarsat. The passengers were also incapacitated by the smoke and hence those in first class did not use their satellite phones. Is this even possible? Did MH370 use SIA68 as Radar Cover? Here's a different theory. The main reason that investigators doubt that MH370 headed north, is that none of the countries picked up a plane on their military radar. Keith Ledgerwood says that he thinks MH370 turned off its transponder and shadowed Singapore Airlines flight 68, so that they were seen as a single blip on the military radar (is it at all possible for a B777 to tail another B777 like that?). SIA68 would not have been able to see MH370, as its transponder was switched off. MH370 could then have broken free once out of militarised areas, and flown to Kyrgyzstan, Turkmenistan or Xingjian - this would tie in nicely with reported 7.5 hours of flying time, as well as with the northern corridor ARC provided by Inmarsat. Farfetched? Russia wondering why the US Navy Captured MH370? Firstly, this feels so farfetched, that I question how reliable the source for this is (hence the question mark on the heading) - but it's out there, so here it is. 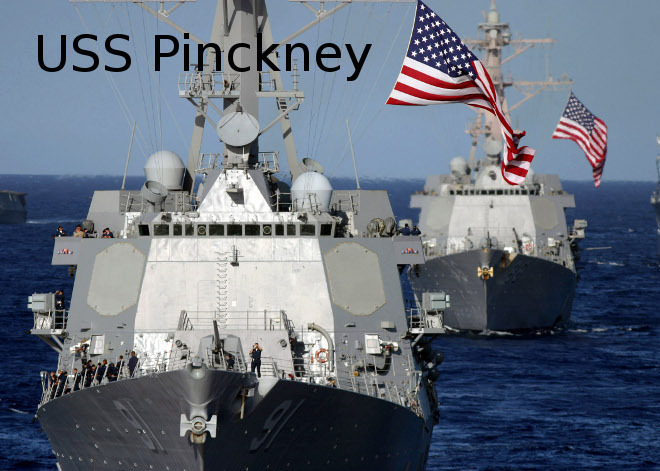 According to this writer, the Kremlin is "puzzled" as to why the US Navy "captured & then diverted" Malaysia Airlines flight MH370, to its base at Diego Garcia. Apparently, the flight was already being monitored after a "highly suspicious" cargo was transported from the Seychelles onto the MV Maersk Alabama and then MH370. And then Russia got wind of it, when they found out that 2 US Navy Seals were found dead (Jeffrey Reynolds & Daniel Kennedy). Then the idea gets even wilder, that China was preparing to divert the flight from Beijing to Hainan Island, but for some reason the flight instead was diverted to Diego Garcia. For the first time a South African nuance has been introduced into the Flight MH370 saga. Fariq Ab. Mamid, the first officer, is alleged to have entertained South African teenagers in the cockpit on a previous flight. In 2011, he allegedly inviited 2 girls into the cockpit on a flight from Phuket to Kuala Lumpur, and posed for photos and smoked cigarettes with them. One of the girls was Jonti Roos from Johannesburg, who said that at one point they were turned around the whole time facing them. The girls were also in the cabin during landing and takeoff. The first officer was substantially less experienced than the captain - Fariq Ab. Mamid, a 27-year-old Malaysian who had been flying with the airline for just over 5 years and had 2763 flying hours behind his name. Fariq was in the process of switching to flying a B777-200, having finished his training in a flight simulator. But even though he was less experienced, he no doubt had been through a rigorous set of tests. Captain Zaharie Ahmad Shah, was a 53 year old Malaysian, and a veteran who had been with the airline since 1981. Investigators are convinced that hijackers took control of flight MH370, turning off the transponder & heading away from its flight path. This is informed by the fact that the transponder was turned off more than ten minutes after the aircraft's messaging system stopped working - they would both have failed at the same time if there had been a catastrophic event. Here's one of the wilder theories : The Maldives Finest website speculates that MH370 may have been hijacked, as it believes the debris would have been found by now. They wonder whether the passengers with stolen passports hijacked the flight, fabricated a crash with a speedy descent until the plane disappeared from the eyes of radar, and then flew to a remote jungle with a grass highway. They further postulate that communication jammers may have been used to prevent pilots from speaking to ATC. In 2013 the US Aviation Authorities warned that cracking beneath the satellite antenna of a Boeing 777's fuselage skin may lead to a decompression of the plane which would leave those inside it unconscious. A slow decompression may mean the pilots weren't aware of the problem enough to place their masks on. This would also explain why the plane flew on for a bit, and why the pilot in a flight ahead had hear "mumbling" when he tried to contact the plane. As it's at the satellite antenna, it could also have stopped satellite transmissions from working, including the ACARS system which shows where the aircraft is. Boeing has said that the Federal Aviation Authority alert did not apply to the jet on flight MH370, as it did not have the same satellite antenna. Many planes crashes are caused by faulty maintenance procedures, and this is sure to come under the spotlight. The B777 involved in flight MH370 last underwent maintenance on the 23rd Feb 2014 in Kuala Lumpur International Airport, and zero problems were identified. Its next check was due on the 19th June 2014. The plane involved was a Boeing 777-200 which Malaysia Airlines had taken delivery of on the 31st May 2002 (so 11 years old), registered as "9M-MRO". In August 2012 the plane's wingtip had hit an A340-600 at Shanghai Airport and the wingtip had broken off. This is the second crash of a B777 in less than a year, with Asiana Airlines flight 214, a B777-200ER, crashing on final approach on the 6th July 2013 (3 died) - although, other than the makes of the planes being the same, the circumstances of the crashes are really different. Electrical Failure resulting in Pilots flying in Dark without Instruments? We know the transponder stopped working above the Gulf of Thailand. We also know a crash is unlikely to have occured there, as no debris has been spotted in the area. So, we are pretty sure the pilots flew on a bit. The transponder may have either been turned off deliberately or there may have been a failure of the electrical systems which triggered it. If the transponder was turned off deliberately by terrorists there would have been a claim by now (the Chinese Martyrs Brigade claim seems to lack credibility). So, it's likely that there was some kind of electrical system failure which resulted in the transponder turning off. Flying at night without instruments would have been very very difficult for the pilots. So, they may have meandered about before crashing. the primary radar tracking of the Malaysian Military picked the plane up over the Malacca Straits, and this may have been part of their flying without instruments, desperately looking for something they recognised. The Chinese Martyrs Brigade, of whom very little (nothing?) is known about, has claimed that it is responsible for the disappearance of flight MH370 in a pdf statement. The Martyrs Brigade's gripe is about the poor treatment of the Uighur minority in China. Datuk Hishammuddin, Malaysia's Transport Minister, has said dismissed their claims, saying that "there is no sound or credible grounds to justify their claims". Taiwan Spymaster, Tsai De Sheng, has revealed that they had in the week preceding the incident received a warning of a possible terror attack on China. The warning had come on the 4th March 2014, 3 days after 29 people were killed in a knife attack in Kunming Railway Station in China. It is believed that the warning came from China Airlines, who had been phoned by a French-speaking man who warned of a possible terror attack, and later phoned The Civil Aviation Authority of Taiwan to pass on the message. "China Airlines on March 4 received calls claiming to provide intelligence on terror organisations, referring to mainland China, Beijing airport will have terrorist attacks." said China Airlines in a statement. On the 3rd of March 2014, China Airlines had sent all its staff a warning of a "significant risk of terrorist attacks & military actions against aviation", following on from the Kunming knife attack. Could a Missile have downed MH370? A Boeing 777 does not just drop out of the sky like a stone! Something happened. WND speculates that a missile could have downed the plane, saying that the facts are consistent with what one would expect from a missile strike: no indication of distress and something occuring which resulted in an abrupt end to communications. But then why hasn't the terrorist organisation responsible for it, claimed responsibility? or the military accidentally shooting down the plane. A large-scale catastrophic systems failure. Less likely causes are the weather (it was fine), pilot disorientation (plane would probably have been picked up by radar), hijacking with forced crash (terrorists would have made a claim by now) or a catastrophic failure of both engines (pilots would have had time to inform ATC). It's possible that the pilots were too busy dealing with whatever emergency they faced, to have time to communicate with Air Traffic Control. Because it's so rare for a plane in cruise mode to abruptly lose touch, comparisons have been drawn with Air France Flight 447 which crashed into the Atlantic on the 1st June 2009, also at night. However, the planes were different (Flight AF447 was an Airbus A330 whilst Flight MH370 was a Boeing 777) and the weather was fine for Flight MH370 whereas AF447 was in the midst of a storm. Flight MH370 sent no emergency error messages, whereas AF447 sent a flurry of them. 13 March 2014 : Malaysia Airlines have announced that they will be replacing flight code MH370 and MH371 with MH318 and MH319, "as a mark of respect to the passengers and crew of MH370". Andy had asked his travel agent to book (inter alia) a Kuala Lumpur to Beijing flight on the 8th March 2014. As the travel agent was an orthodox Jew he altered the KUL-PEK leg to Friday, the 7th March. Andy asked the travel agent to move the flight back to the 8th, and the travel agent said he wouldn't book flights for the sabbath. Andy agreed to book the flight himself and then changed his mind and said "you are right I should be more observant, I'll manage without that day in Kuala". Andy emailed him after MH370 disappeared: "You sure heard what happened to MH370, I cannot stop thinking about this. This is a true miracle for the books." It was originally reported that a total of five passengers who missed the flight & had their bags removed before the plane took off. Malaysia Airlines has clarified that this is incorrect : there were in fact 4 passengers with valid tickets who did not even check-in for the flight, and thus the issue of having to offload their baggage did not arise. @Cylithria can't reach you by phone. We missed the flight. Rory and I are OKAY Ria. I'm NOT ON THE FLIGHT RIA. IM OK. The 2 passengers with stolen passports were apparently trying to emigrate illegally into Europe. One of the passengers with a stolen passport has been identified as a 19-year-old Iranian, Pouria Nour Mohammad Mehrdad. The second passenger travelling on a stolen passport is Deladar Syad Mohammed Reza. The 2 passengers with stolen passports on flight MH370 had their flight booked by the Grand Horizon travel agency, which is based in Pattaya, Thailand. The owner of the travel agency, Benjaport Kruitnait, has said that an Iranian contact had asked her to do the bookings, requesting the cheapest flight tickets to Europe. Crucially, he did not specifically request to fly via Beijing, rather this was decided by Benjaporn in searching for the cheapest flights. The Iranian contact goes by the name of "Mr Ali". Mr Ali had initially had the tickets be booked for the 1st March 2014, but the tickets expired and he rebooked for the 8th March 2014. Mr Ali's friend then paid Benjaporn in cash. Mr Ali has a Tehran phone number which was supplied by Benjaporn, but on trying it there was no reply. This follows INTERPOL confirming that at least 2 stolen passports were used on Flight MH370. The passports were stolen from an Italian and an Austrian, and initial reports were that the passengers who used the passports had Asian features. "I am still perturbed. Can't these immigration officials think? Italian and Austrian but with Asian faces," said Ahmad Hamidi, the Home Affairs Minister of Malaysia. However, subsequent reports have said that "they are not Asian-looking men"
From other reports we gather that the passports were stolen from a 30-year-old Austrian (Christian Kozel) and an Italian (Luigi Maraldi). "I'm alive - I'm in Thailand!" said Maraldi, who had reported his passport as being stolen on the 1st August 2013 (he had left his passport with a car rental agency and when he dropped off the vehicle it wasn't there anymore). Kozel's passport had been reported stolen in Thailand 2 years ago. The stolen passports had been entered into Interpol's database, but no checks had been carried out on them by any countries, so it's not clear how many times the passports had been used. The 2 passengers had consecutive ticket numbers, and booked their tickets through China Southern Airline's codeshare and paid in Thai baht at the same price. China Southern Airlines says it booked 1 Chinese citizen, an Austrian, an Italian, 2 Ukrainians, a Malaysian and a Dutch citizen. The 2 passengers were merely transiting Beijing & did not require a visa. Their onward flight was to Amsterdam with KLM, in economy class, and then they were to go their seperate ways to Frankfurt and Copenhagen. Beijing has become a popular transit point because of its 72-hour visa-on-arrival rule for many nationalities. It's been reported that a Chinese family have managed to dial through to a family member who was on flight MH370, with the call connecting but there being no reply. They are urging authorities to use cellphone tracking technology to find the plane before the cellphones run out of power. It's been reported that one of the Chinese passengers on the manifest, Zhao Qiwei, had an incorrect passport number. Intelligence agencies are investigating who the 2 passengers with stolen passports were, as well as 2 others passengers who had bought their tickets via China Southern Airlines. It also is not clear how the passengers may have boarded the plane with passports which had been reported stolen. The plane had 239 souls on board : 227 passengers (including 2 infants) & 12 crew members. All the crew were Malaysian. The passengers were mainly Chinese/Taiwanese and Malaysian, but there were also some from India, Indonesia, Australia, France, the United States, New Zealand, Ukraine, Canada, Russia, Italy, the Netherlands and Austria. There were no South Africans on board the flight. Click here to see the full list of passengers on board the flight. Members of the public may phone +603 7884 1234 for further information. "INTERPOL is asking why only a handful of countries worldwide are taking care to make sure that persons possessing stolen passports are not boarding international flight... I sincerely hope that governments and airlines worldwide will learn from the tragedy of missing flight MH 370 and begin to screen all passengers’ passports prior to allowing them to board flights. Doing so will indeed take us a step closer to ensuring safer travel", said Ronald Noble, INTERPOL's Secretary General. INTERPOL created the database in 2002 to increase security in the wake of the 11 Sep 2001 terrorist attacks. Countries which are searching INTERPOL's database the most are the 3 Uniteds : United States, the United Kingdom and the United Arab Emirates. 00h41 Flight MH370 takes off from KUL. 01h07 The last ACARS transmission is sent (ACARS provides data about the engines for maintenance reasons), and the system is deactivated. ATC says to MH370: “We have to hand you over to Ho Chi Minh City." Somebody on MH370 says “All right, good night”. We are not sure who said that, but crucially it is after the ACARS system has been disabled. 01h21: The transponder is turned off and the plane doesn't check-in with Ho Chi Minh City's ATC. 02h15: Malaysian primary radar of the military spots MH370 in the Malacca Straits, south of Phuket. 08h11: The final signal is received, placing the aircraft either in an arc stretching from Indonesia to the India Ocean or from the North of Thailand to Kazakhstan. Vietnamese authorities asked the pilot of a B777 flying in front of MH370 on its way to Narita to contact MH370. The pilot, who has requested to remain anonymous, reported making contact at 01h30 and hearing mumbling and static/interference. How can a Plane Vanish off the Map? The B777-200ER disappeared off the map with no emergency distress signal or other indication of difficulties being given - something really, really rare. When communication with a plane ceases abruptly, this usually indicates that something catastrophic occurred. It is not clear what caused this. A radar expert from the Chinese military has accused Vietnamese authorities of either having "neglected their duty" or that they are not providing all the info they have, as planes don't just vanish The last radar position was 6.92N 103.58E - the plane had not entered Chinese airspace. "Our deepest condolences to the loved ones of passengers and crew on board flight MH370", said Karen Baker, co-owner of South Africa Travel Online. Malaysia Airlines (code MH) used to operate flights from Johannesburg to Kuala Lumpur (JNB-KUL), but suspended them on the 31st January 2012, resulting in South Africans only having access to 1-stop flights to Malaysia. There were no signs of bad weather and at the moment it is a complete mystery why the plane has gone missing. Taking nothing away from the terrible tragedies which regularly occur, air travel remains a really safe way of getting around. This is partly because incidents like this come under the spotlight, and help to identify problem areas and reduce the probability of future accidents. Malaysia Airlines has historically had an outstanding safety record, as has the Boeing 777. We're hopeful that this incident will make an extremely safe form of transport even safer.